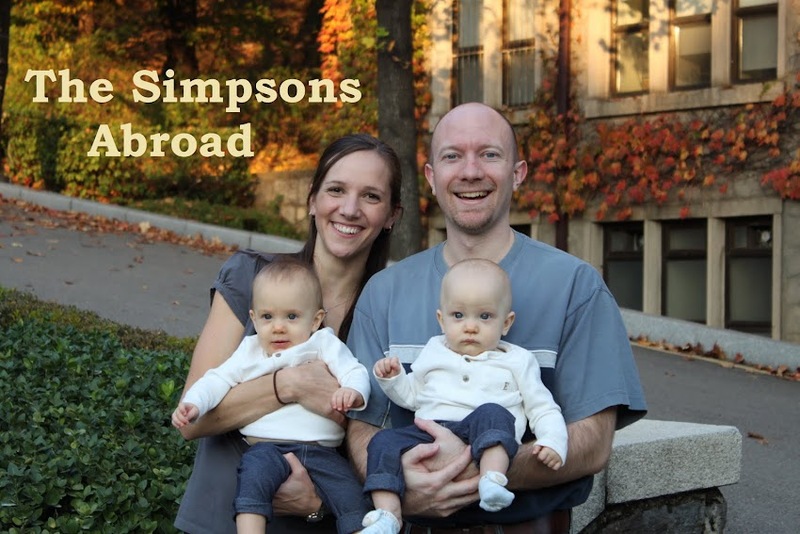 Chris and Ashley Abroad: A Reflection on "Normal"
Sometimes I forget that I’m living abroad. I don’t mean that I think I am still living in America, I just mean that it doesn’t feel like there is anything “different” about our lives anymore. So many of the things that were once strange and new have become so natural that I forget that there was a time I had to get used to it. I have grown accustomed to handing my credit card to the cashier with two hands, taking taxis everywhere, knowing that I will have to order in a restaurant using pointing and hand signals; it is all just my life now. It is funny how you adjust. I was thinking how interesting it will be for our girls growing up with this life as “normal”. Calling grandparents means using the computer and a calculator to calculate the time difference, a break from school is usually equated with needing a passport, and a really special dinner means TGI Fridays. I suppose it is true from every generation to the next, but our girls are going to have a very different childhood than what I had. These kids are freshmen in high school and not only do they know the capital of Cambodia but many of them have been there and can tell you the currency and the exchange rate against the US dollar and the Euro. Crazy. I’m pretty sure I didn’t find out that Cambodia existed until I was at least a junior. I don’t think I could have pointed it out on a map until I moved to Taiwan. But, at the same time, there are so many things that are “normal” to my childhood that are totally foreign to expat kids. Most of them never went to the mall to sit on Santa’s lap, they have never driven around the neighborhood looking at Christmas lights, and many of them have never known what a real Christmas tree in your living room smells like. No matter where I live, I will always have a strong tie to American culture and traditions. Even though I may experience reverse culture shock every summer as I ogle grocery store aisles, the US will always be my home culture. It will forever be the measure against which I compare everything I experience. So, I often wonder, what will my girls use? What will their measure be? I think being abroad helps them to be adaptable, accepting, and gives them a knowledge of their world; but does it also rob them of a sense of consistency? Is there any way that they can know the capital of Sri Lanka but still have fun building forts with their Stateside cousins? In short, I guess I really just want what every parent wants anywhere in the world. I don’t want my kids to be weirdos. Is that too much to ask?